Wordpress is argueably the hottest niche website tool of the moment. Internet marketers and search engines alike love sites that are built on the platform. Whether you're looking to add to your own web empire, build niche sites for clients, or even for flip them for quick cash, a great looking Wordpress template will help you get the job done. run-of-the-mill templates you'll see elsewhere. functionality make it the first-choice for niche marketers. A quality template will help you to capitalize on those features. Perfect for podcasting, tele or audio seminar information or any other audio-related blog. The fresh, glossy look of this template is really current and will not date quickly. Top holiday destinations, best beaches or just a blog of your summer vacation - this beach template has many possible uses. Got green fingers? Bonsai growing is a popular, yet at times, difficult hobby. A great niche to move into with an information product or video series. This Wordpress template carries a prominent warning in the corner that says "Use with Caution". It is ideal for giving the impression that your blog carries potent information that is simply too powerful to be used by just anyone! Who doesn't like chocolate? Chocolate recipies, chocolate gifts, chocolate fountains - there are innumerable chocolate sub-niches to target and there are tens of thousands of searches a month. Please note: your screen is not taste enabled - so don't lick it! There are a lot of people making small fortunes in this niche. Anyone who gambles wants to improve their odds and beat the casino, but they need the info to do it. You could use this template to set up a profitable membership site. Safaris are big business, not to mention expensive. If you are already operating as an affiliate in the travel sector, a Safari niche site could bring in some "wild" comissions. Everybody seems to be selling their "secrets" in an ebook these days. This template gives you a platform to do the same. It features imagery of a security briefcase full of Top Secret documents, marked "For your eyes only". There are so many sub-niches within the Weddings market that you'll never run out of ideas to work on. This mainly black & white template has a classy and comtemporary feel. OK, I want them! . . . but how much are they? and that's what they're likely to cost you. to just 3 customers and you'd be in profit. WHOA . . . Hold on just a FREAKIN' minute! Why don't I just give you guys that $1 per Template deal? 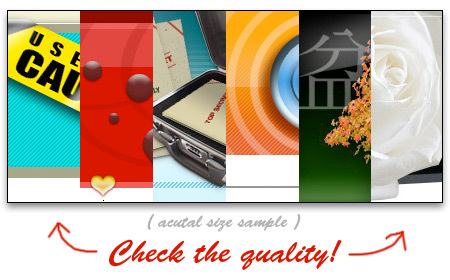 Get all 10 templates for $10 . . .